539 BC – Cyrus the Great entered the city of Babylon and detained Nabonidus. 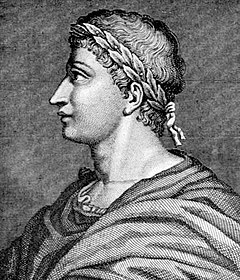 437 Valentinian III, Western Roman Emperor, married Licinia Eudoxia, daughter of his cousin Theodosius II, Eastern Roman Emperor in Constantinople unifying the two branches of the House of Theodosius. 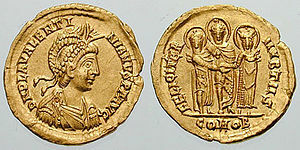 1268 Conradin, the last legitimate male heir of the Hohenstaufen dynasty of Kings of Germany and Holy Roman Emperors, was executed with his companion Frederick I, Margrave of Baden by Charles I of Sicily, a political rival and ally to the hostile Roman Catholic church. 1390 First trial for witchcraft in Paris leading to the death of three people. 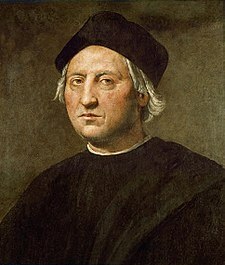 1422 Charles VII of France became king. 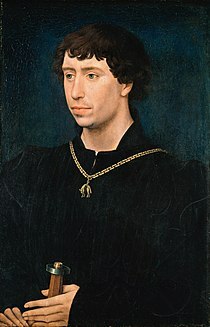 1467 Battle of Brustem: Charles the Bold defeated Liege. 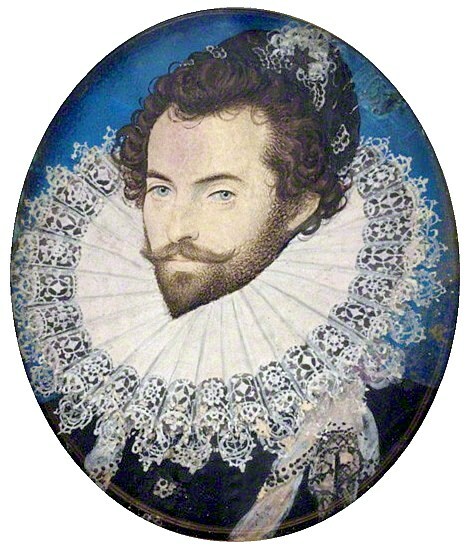 1618 Sir Walter Raleigh was beheaded for allegedly conspiring against James I. 1658 Action of 29 October (Naval battle). 1665 Battle of Ambuila, Portuguese forces defeated the forces of the Kingdom of Kongo and decapitated king Antonio I of Kongo, also called Nvita a Nkanga. 1675 Leibniz made the first use of the long s (∫) as a symbol of the integral in calculus. 1740 James Boswell, Scottish biographer of Samuel Johnson was born (d. 1795). 1787 Mozart’s opera Don Giovanni received its first performance in Prague. 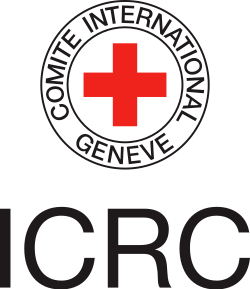 1863 Eighteen countries meeting in Geneva agreed to form the International Red Cross. 1863 American Civil War: Battle of Wauhatchie – forces under Union General Ulysses S. Grant warded off a Confederate attack led by General James Longstreet. 1886 The first ticker-tape parade took place in New York City when office workers spontaneously threw ticker tape into the streets as the Statue of Liberty was dedicated. 1891 Fanny Brice, American singer (d. 1951), was born. 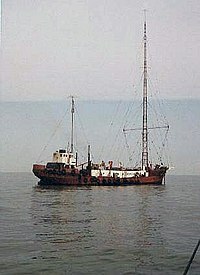 1894 SS Wairarapa was wrecked off Great Barrier Island. 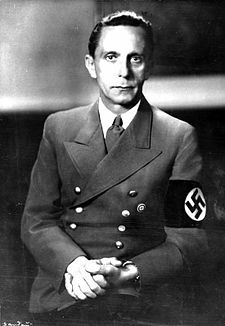 1897 Joseph Goebbels, Nazi Minister of Propaganda, was born (d. 1945). 1918 The German High Seas Fleet was incapacitated when sailors mutinied on the night of the 29th-30th, an action which triggered the German revolution. 1921 The Link River Dam, a part of the Klamath Reclamation Project, was completed. 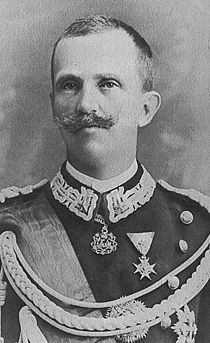 1922 Victor Emmanuel III, appointed Benito Mussolini Prime Minister. 1923 Turkey became a republic following the dissolution of the Ottoman Empire. 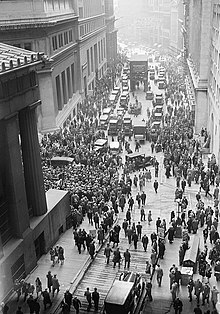 1929 The New York Stock Exchange crashed in the Crash of ’29 or “Black Tuesday”, ending the Great Bull Market of the 1920s and beginning the Great Depression. 1941 Holocaust: In the Kaunas Ghetto over 10,000 Jews were shot by German occupiers at the Ninth Fort, a massacre known as the “Great Action”. 1942 Holocaust: Leading British clergymen and political figures held a public meeting to register outrage over Nazi Germany’s persecution of Jews. 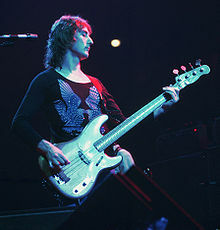 1944 Denny Laine, English musician (Moody Blues, Ginger Baker’s Air Force, Wings), was born. 1944 The city of Breda in the Netherlands was liberated by 1st Polish Armoured Division. 1945 Getulio Vargas, president of Brazil, resigned. 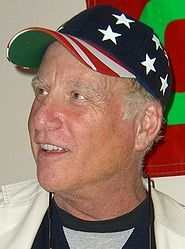 1947 Richard Dreyfuss, American actor, was born. 1953 BCPA Flight 304 DC-6 crashed near San Francisco, pianist William Kapell was among the 19 killed. 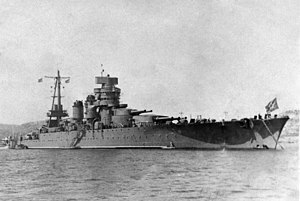 1955 The Soviet battleship Novorossiisk struck a World War II mine in the harbor at Sevastopol. 1956 Suez Crisis began: Israeli forces invaded the Sinai Peninsula and pushed Egyptian forces back toward the Suez Canal. 1956 Tangier Protocol signed: The international city Tangier was reintegrated into Morocco. 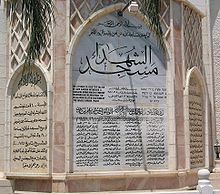 1956 Kafr Qasim massacre: Israeli Border Police (Magav) shoot and kill 48 Arab civilians for unknowingly disobeying curfue orders imposed by Israeli army in Kafr Qasim, an Arab village. 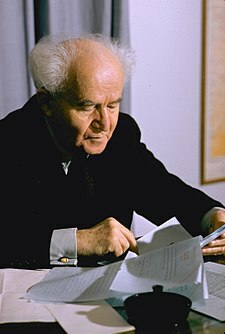 1957 Israel’s prime minister David Ben Gurion and five of his ministers were injured when a hand grenade was tossed into Israel’s parliament, the Knesset. 1961 Syria left the United Arab Republic. 1964 Tanganyika and Zanzibar united to form the Republic of Tanzania. 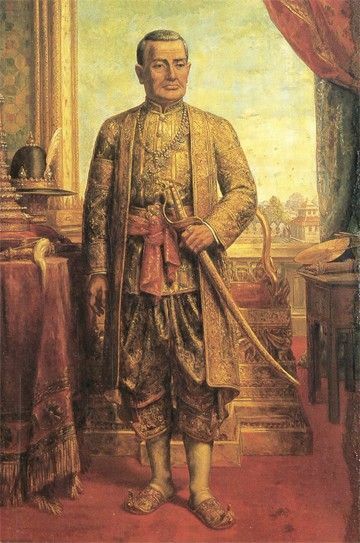 1964 – A collection of irreplaceable gems, including the 565 carat (113 g) Star of India, was stolen from the American Museum of Natural History in New York. 1966 National Organization For Women was founded. 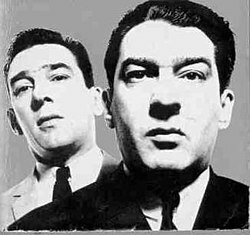 1967 London criminal Jack McVitie is murdered by the Kray twins, leading to their eventual imprisonment and downfall. 1967 Montreal’s World Fair, Expo 67, closed. 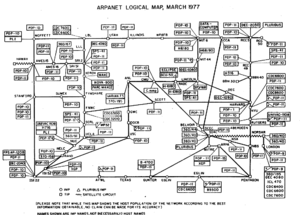 1969 The first-ever computer-to-computer link was established on ARPANET, the precursor to the Internet. 1969 US Supreme Court ruled that school districts must end segregation “now and hereafter”. 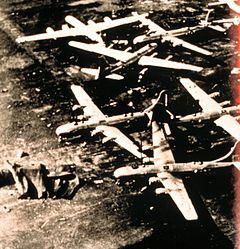 1980 Demonstration flight of a secretly modified C-130 for an Iran hostage crisis rescue attempt ended in crash landing leading to cancellation of Operation Credible Sport. 1983 More than 500,000 people demonstrated against cruise missiles in The Hague. 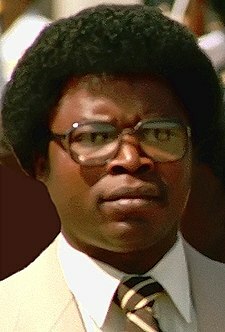 1985 Major General Samuel K. Doe was announced the winner of the first multi-party election in Liberia. 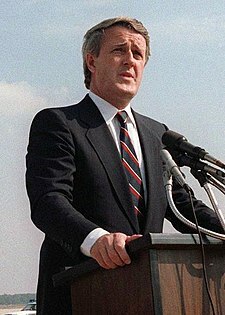 1986 British Prime Minister Margaret Thatcher opened the last stretch of the M25 motorway. 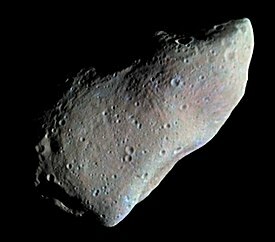 1991 The American Galileo spacecraft made its closest approach to 951 Gaspra, becoming the first probe to visit an asteroid. 1995 The Hoax film Forgotten Silver screened. 1998 Apartheid: In South Africa, the Truth and Reconciliation Commission presented its report, which condemned both sides for committing atrocities. 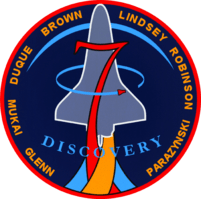 1998 – Space Shuttle Discovery blasted off on STS-95 with 77-year old John Glenn on board, making him the oldest person to go into space. 1998 – ATSC HDTV broadcasting in the United States was inaugurated with the launch of STS-95 space shuttle mission. 1998 A Turkish Airline flight with a crew of 6 and 33 passengers was hijacked by a Kurdish militant who ordered the pilot to fly to Switzerland. The plane instead landed in Ankara after the pilot tricked the hijacker into thinking that he was landing in the Bulgarian capital of Sofia to refuel. 1998 The Gothenburg nightclub fire in Sweden claimed 63 lives and injures 200. 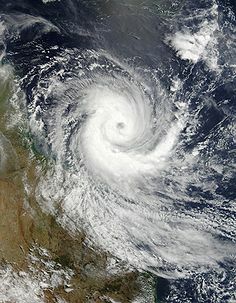 1999 A large cyclone devastated Orissa, India. 2002 Ho Chi Minh City ITC Inferno, a fire destroyed a luxurious department store where 1500 people shopping. Over 60 people died. 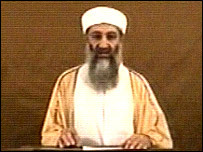 2004 The Arabic news network Al Jazeera broadcast an excerpt from a video of Osama bin Laden in which the terrorist leader first admitted direct responsibility for the September 11, 2001 attacks and references the 2004 U.S. presidential election. 2004 In Rome, European heads of state signed the Treaty and Final Act establishing the first European Constitution. 2005 Delhi bombings kill more than 60. 2008 Delta Air Lines merged with Northwest Airlines, creating the world’s largest airline and reducing the number of US legacy carriers to 5. 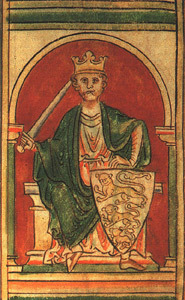 1199 Richard I was wounded by a crossbow bolt while fighting France. 1306 Robert the Bruce became King of Scotland. 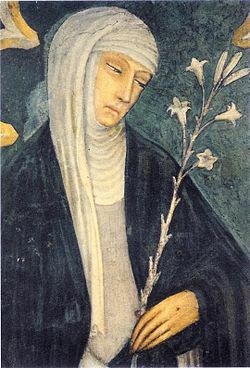 1347 Catherine of Siena, Italian saint, was born. 1409 The Council of Pisa opened. 1584 Sir Walter Raleigh was granted a patent to colonize Virginia. 1634 The first settlers arrived in Maryland. 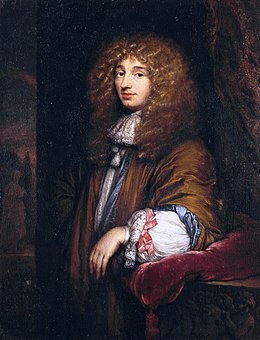 1655 Saturn‘s largest moon, Titan, was discovered by Christian Huygens. 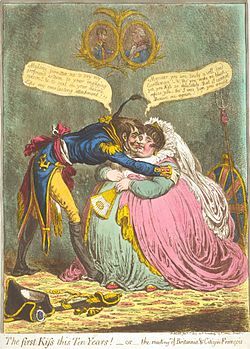 1802 The Treaty of Amiens was signed as a “Definitive Treaty of Peace” between France and Britain. 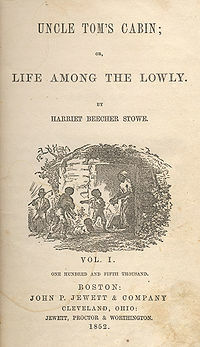 1807 The Slave Trade Act became law, abolishing the slave trade in the British Empire. 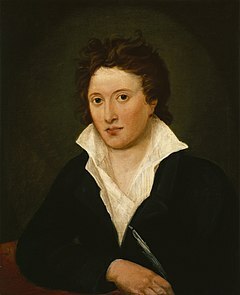 1811 Percy Bysshe Shelley was expelled from the University of Oxford for his publication of the pamphlet The Necessity of Atheism. 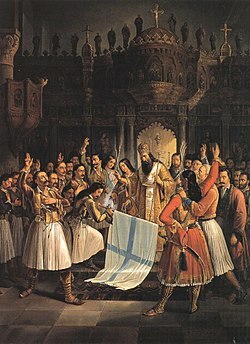 1821 Greeks revolted against the Ottoman Empire, beginning the Greek War of Independence. 1847 Duel between Dr Isaac Featherston, editor of the Wellington Independent, and Colonel William Wakefield, the New Zealand Company’s Principal Agent in New Zealand. 1881 Mary Gladys Webb, English writer, was born. 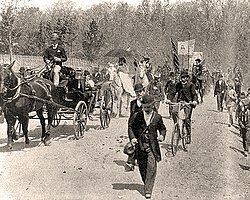 1894 Coxey’s Army, the first significant American protest march, left Massillon, Ohio for Washington D.C.
1897 John Laurie, Scottish actor, was born. 1899 Burt Munro, New Zealand motorcycle racer, was born. 1903 Racing Club de Avellaneda, one of the big five of Argentina, was founded. 1908 Clube Atletico Mineiro was founded in Belo Horizonte, Brazil. 1911 In New York City, the Triangle Shirtwaist Factory fire killed 146 garment workers. 1913 Sir Reo Stakis, Anglo-Cypriot hotel magnate, was born. 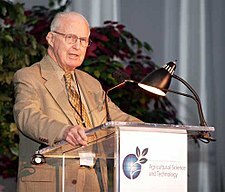 1914 Norman Borlaug, American agriculturalist, recipient of the Nobel Peace Prize, was born. 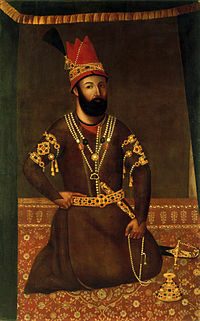 1917 The Georgian Orthodox Church restored its autocephaly abolished by Imperial Russia in 1811. 1918 The Belarusian People’s Republic was established. 1922 Eileen Ford, American model agency executive, was born. 1924 On the anniversary of Greek Independence, Alexandros Papanastasiou proclaimed the Second Hellenic Republic. 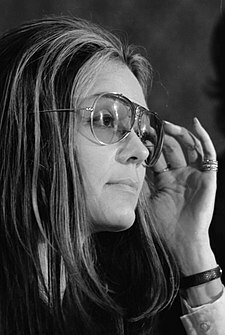 1934 Gloria Steinem, American feminist and publisher, was born. 1937 Tom Monaghan, American fast-food industry entrepreneur, was born. 1939 Cardinal Eugenio Pacelli beccame Pope Pius XII. 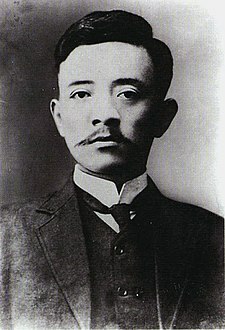 1940 John A Lee was expelled from the Labour Party. 1941 The Kingdom of Yugoslavia joined the Axis powers with the signing of the Tripartite Pact. 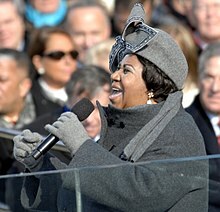 1942 Aretha Franklin, American singer, was born. 1947 An explosion in a coal mine in Centralia, Illinois killed 111. 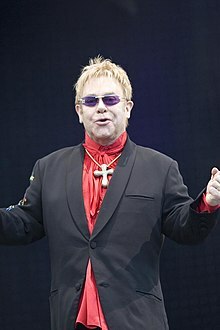 1947 Elton John, English singer and songwriter, was born. 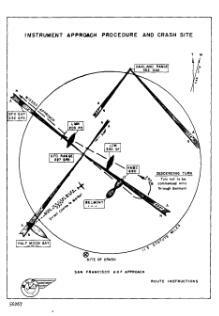 1948 The first successful tornado forecast predicted that a tornado would strike Tinker Air Force Base, Oklahoma. 1949 The March deportation was conducted in Estonia, Latvia and Lithuania to force collectivisation by way of terror. 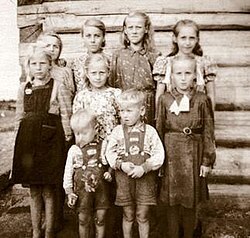 The Soviet authorities deported more than 92,000 people from Baltics to remote areas of the Soviet Union. 1957 United States Customs seized copies of Allen Ginsberg‘s poem “Howl” as obscene. 1957 The European Economic Community was established (West Germany, France, Italy, Belgium, Netherlands, Luxembourg). 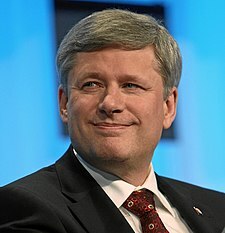 1958 Canada’s Avro Arrow made its first flight. 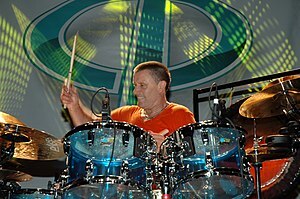 1960 Steve Norman, British saxophonist (Spandau Ballet), was born. 1960 Peter O’Brien, Australian actor, was born. 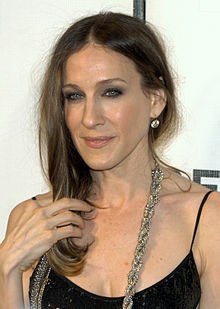 1965 Sarah Jessica Parker, American actress, was born. 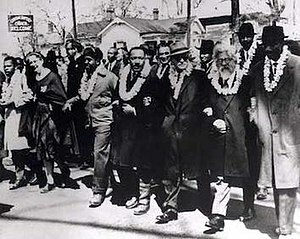 1965 Civil rights activists led by Martin Luther King, Jr. successfully completed their 4-day 50-mile march from Selma to the capitol in Montgomery, Alabama. 1969 During their honeymoon, John Lennon and Yoko Ono held their first Bed-In for Peace at the Amsterdam Hilton Hotel (until March 31). 1971 Beginning of Operation Searchlight of Pakistan Army against East Pakistani civilians. 1975 Faisal of Saudi Arabia was shot and killed by a mentally ill nephew. 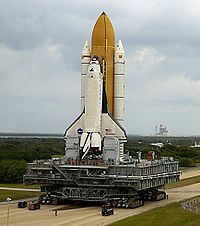 1979 The first fully functional space shuttle orbiter, Columbia, was delivered to the John F. Kennedy Space Center to be prepared for its first launch. 1988 The Candle demonstration in Bratislava – the first mass demonstration of the 1980s against the communist regime in Czechoslovakia. 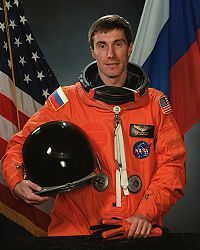 1992 Cosmonaut Sergei Krikalev returned to Earth after a 10-month stay aboard the Mir space station. 1995 The world’s first wiki, a part of the Portland Pattern Repository, was made public by Ward Cunningham. 1996 An 81-day-long standoff between the anti-government group Montana Freemen and law enforcement near Jordan, Montana, began. 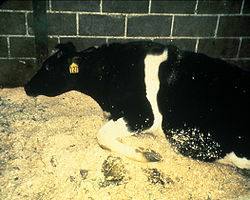 1996 The European Union’s Veterinarian Committee bans the export of British beef and its by-products as a result of mad cow disease (Bovine spongiform encephalopathy). 2006 Capitol Hill massacre: A gunman killed six people before taking his own life at a party in Seattle’s Capitol Hill neighborhood. 2006 Protesters demanding a new election in Belarus following the rigged Belarusian presidential election, 2006 clashed with riot police. Opposition leader Aleksander Kozulin was among several protesters arrested. 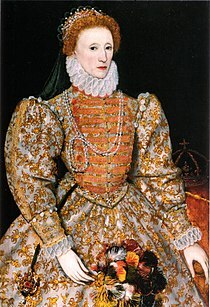 1558 Elizabethan era began when Queen Mary I of England died and was succeeded by her half-sister Elizabeth I of England. 1603 English explorer, writer, and courtier Sir Walter Raleigh went on trial for treason. 1800 The United States Congress holds its first session in Washington, D.C.
1811 José Miguel Carrera, Chilean founding father, was sworn in as President of the executive Junta of the government of Chile. 1831 Ecuador and Venezuela were separated from Greater Colombia. 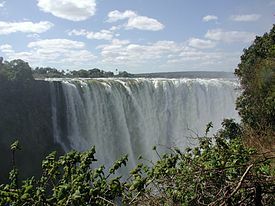 1855 David Livingstone became the first European to see the Victoria Falls. 1903 The Russian Social Democratic Labor Party split into two groups; the Bolsheviks (Russian for “majority”) and Mensheviks (Russian for “minority”). 1919 King George V of the United Kingdom proclaimed Armistice Day (later Remembrance Day). 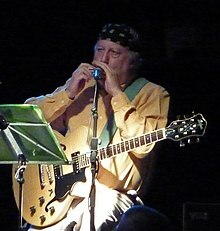 The idea was first suggested by Edward George Honey. 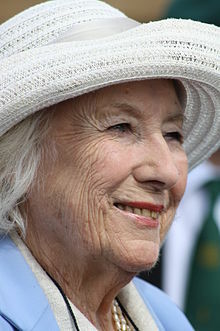 1923 Bert Sutcliffe, New Zealand cricketer, was born. 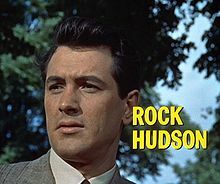 1925 Rock Hudson, American actor, was born. 1925 The New Zealand and South Seas International Exhibition opened in Dunedin. 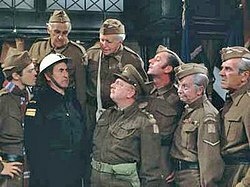 1937 Peter Cook, British comedian, was born. 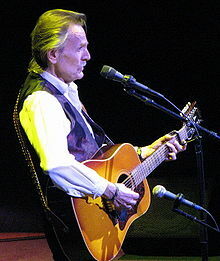 1938 Gordon Lightfoot, Canadian singer, was born. 1939 Auberon Waugh, British author, was born. 1950 Tenzin Gyatso, the 14th Dalai Lama, was enthroned as the leader of Tibet at the age of fifteen. 1953 The remaining human inhabitants of the Blasket Islands, Kerry, Ireland were evacuated to the mainland. 1970 Douglas Engelbart received the patent for the first computer mouse. 1978 Zoë Bell, New Zealand actress-stuntwoman, was born. 1618 English adventurer, writer, and courtier Sir Walter Raleigh was beheaded for allegedly conspiring against James I of England. 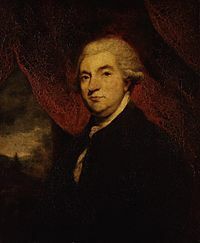 1740 James Boswell, Scottish biographer of Samuel Johnson was born. 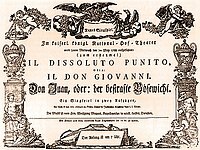 1787 Mozart‘s opera Don Giovanni receives its first performance in Prague. 1863 Twenty seven countries meeting in Geneva agreed to form the International Red Cross. 1886 The first ticker-tape parade takes place in New York City when office workers spontaneously threw ticker tape into the streets as the Statue of Liberty was dedicated. 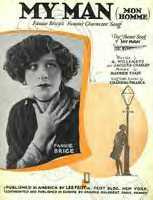 1891 US singer and comiedienne, Fanny Brice, was born. 1894 SS Wiararapa was wrecked on Great Barrier Island. 1897 Joseph Goebbels, Nazi Minister of Propaganda was born. 1923 Turkey beccame a republic following the dissolution of the Ottoman Empire. 1971 Winona Ryder, American actress, was born. 1995 Forgotten Silver hoax was screened.